Watch Doctor Who Season 9 Episode 7 online via TV Fanatic with over 7 options to watch the Doctor Who S9E7 full episode. Affiliates with free and paid streaming include Amazon, iTunes, Vudu, YouTube Purchase, Google Play, Amazon Prime, and Verizon On Demand. The shapeshifting Zygons return to cause trouble on Doctor Who Season 9 Episode 7. Murdered UNIT scientist, Osgood, is back as well, but is this truly the Doctor's number one fan? Clara: So Osgood's been kidnapped, right? I thought Osgood was dead. Kate: There have always been two of her, ever since the cease fire. We never knew which one was real. The Doctor: Both of them. Kate: Okay, which one was Zygon. The Doctor: Both of them. They would have maintained a live link. They were both Zygon and human at the same time. Permalink: So Osgood's been kidnapped, right? I thought Osgood was dead. Osgood 1: The Zygons are a peaceful race. Osgood 2: Their shape changing abilities should not be considered a weapon. Osgood 1: It's a survival mechanism. Osgood 2: They embed themselves in other cultures and live out their lives in their new bodies, in peace and harmony. Mainly. Permalink: The Zygons are a peaceful race. 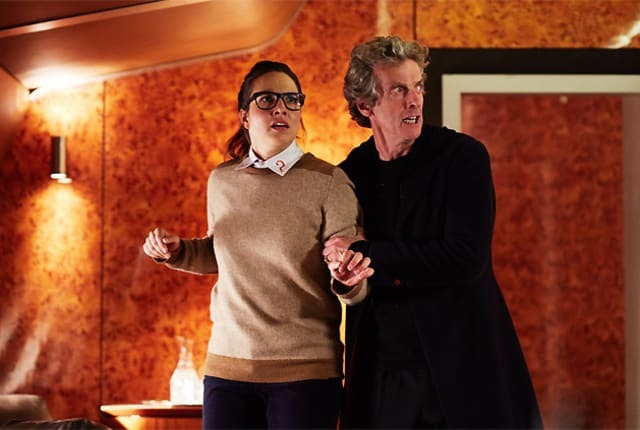 Doctor Who Round Table: Human, Zygon or Hybrid?